One of my goals before the release of the new series was to get my act together and join multiple websites into one place. Seeing as how I have less than 48 hours before Age of Myth hits the street, that’s not going to happen. 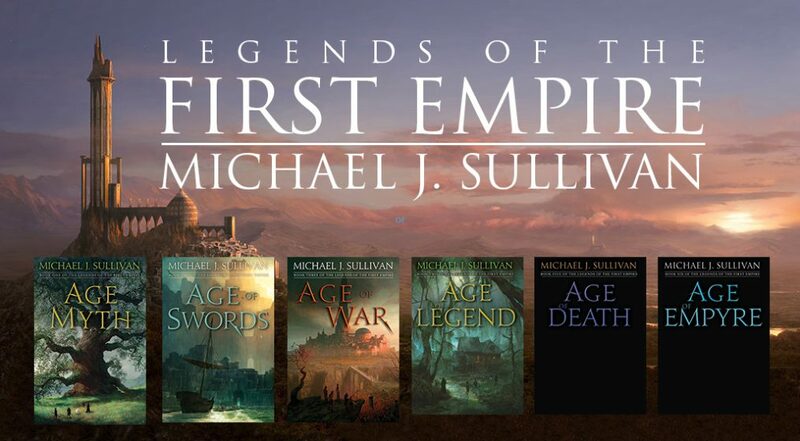 It’s just one of the reasons why this blog gets so little of my attention while the older “Riyria blog” contains a lot of stuff that really is about the new series, The Legends of the First Empire. Why am I bringing this up here? Well I spent a good part of this weekend writing some posts about the conception and execution of the new series and I’ve posted it on my “other site,” even though it makes more sense to be posted here. Why? Well more people know about the other site and until I combine these two, this one will continue to be the neglected child. So, if you want to know a bit about my original concept for this series, you’ll have to head over to this link. Sorry to make you go elsewhere, but until I get some time these sites are going to have to exist independent of one another.